Oscar and Hugo are having a grand time at the beach. Hugo certainly acts like someone who has never been to the beach before. "Look at all gritty stuff! Does it taste good? NO! *ptooey* Look at all this blue stuff! Gah! it moves in! Run away! Run back! Run away again!" I jazzed up this picture of them for Day 7: 30 Days of Creativity. Ah! 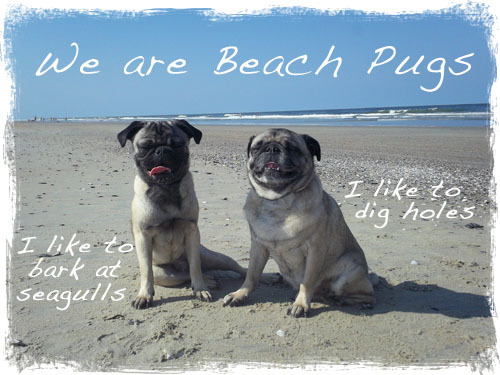 I wish my pups loved the beach. One is afraid of stepping on the sand and the other afraid of the water.